There is little argument that machines will be better drivers than humans. Yet there is a very real risk that self-driving vehicles will never realize their life-saving potential if we can’t agree on standards for safety. We will explain how RSS provides specific and measurable parameters for the human concepts of responsibility and caution, and defines a 'safe state', where the autonomous vehicle cannot cause an accident, no matter what action is taken by other vehicles. We will also talk about how the industry can collaborate to help put these types of safety standards in place. 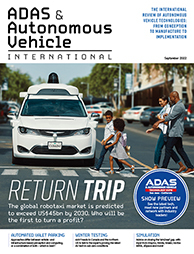 As autonomous vehicles (AVs) mature and come into deployment, governments will require increasingly sophisticated frameworks to regulate the safety of deployed vehicles. Many safety frameworks have been proposed, including large samples of on-road testing, simulation testing, simulation, sensor 'vision tests' and even driving tests. This presentation will review safety framework proposals, discuss the merits and issues with each one, and contextualize them within legal and regulatory proceedings. It will also look at future safety assessment techniques and make recommendations for further development and potential adoption. As the home of the USA’s automotive industry, Michigan has been with the automobile at every stage of its development and is now set to help make autonomy a reality. This presentation will focus on three key points: Michigan’s standpoint on on-road AV testing to establish what parameters need to be met to gain real-world AV driving data on Michigan’s highways; understanding how partnerships with local governments can help foster the innovation that will accelerate the roll-out of AVs; and scoping out Michigan’s legislative standpoint on AVs to see how deployment will take place on Michigan’s roads. What will the implications of CAV be in the future? We think we know the advantages, but what are some of the unanswered questions when it comes to connected and autonomous vehicles? What could some of the challenges be? How do we avoid unintended consequences that may be realized? This presentation will offer a perspective from the public- and private-sector vantage points. State DOTs are on the front line of accommodating emerging autonomous cars and trucks. Level 4 autonomous vehicles are currently being tested in a dozen states, and DOTs are continuously confronted with new challenges to ensure safety while supporting the development of autonomous technology. This session will discuss the current approaches of the federal government and states in ensuring safe deployment of autonomous vehicles. As a former NHTSA chief counsel who now directs AV law and policy efforts for a large automobile manufacturer, Paul Hemmersbaugh is well positioned to discuss developing AV policy and regulations. The presentation will provide an overview of federal and state regulations governing autonomous vehicles and their use. That survey will be followed by suggestions for some general principles and provisions to guide policymakers’ efforts to facilitate the safe, expeditious and efficient deployment of autonomous vehicles. Many observers of the automotive industry question how the introduction of automated vehicle technologies will disrupt business as usual. One topic that arises with increasing frequency is that of responsibility, and in particular, its allocation in the product liability context for automated vehicles. Using as a baseline the premise that existing product liability and contract law is generally well-equipped to handle the challenges of these new technologies, this presentation will examine some of the specific issues likely to arise in the future and how OEMs and suppliers may have to work together to resolve them. This will include a discussion of the technology itself, how the technology and specifications/requirements surrounding it will alter the contracting process, and perhaps one of the most intriguing issues, that of data management and ownership. This program combines an explanation of the fundamentals of product liability law with an analysis of recent real-world collisions and incidents involving automated vehicles. The speakers will dissect the incidents to illustrate what can cause product liability risk, with a 'lessons learned' set of concrete recommendations for reducing or preventing product liability for each level of automation. This panel of lawyers with deep experience in government, OEMs, and suppliers, delves into the most difficult product liability issues – alleged design defects in automated vehicle programming (especially when there is a shared responsibility between an OEM and supplier); challenges to the “ethics” of an automated vehicle’s programming; protecting the confidentiality of source code sought during “discovery”; and defending against a design, warnings, or misrepresentation claim to a jury, including the role of engineers and computer programmers to testify about highly-complex designs. This session will provide an explanation of the Guidelines for the Safe Testing and Deployment of Highly Automated Vehicles by the American Association of Motor Vehicle Administrators (AAMVA) through its Autonomous Vehicles Working Group. These guidelines were published to assist jurisdictions in regulating autonomous vehicles and testing the drivers who operate them. This session will focus on the recommended guidelines for state government oversight and the impacts of AVs on motor vehicle administration. This session will include an explanation of the updated California regulations that became effective on April 1, 2018. The new regulations allow companies to test autonomous vehicles without a driver present in the vehicle. In addition, they allow companies to deploy completely driverless vehicles on public streets once they meet certain requirements. A panel of state leaders who are influencing the world of Autonomous Vehicle regulation in the United States will discuss the approach each of their states is taking to regulate the testing and deployment of automated vehicles and their thoughts on the AAMVA guidelines. Hear how they are working with government officials and other stakeholders in their state to understand and to prepare for the impact of automation in vehicles from an administrative perspective. Arizona continues to be among the leaders in supporting the testing and deployment of technological innovations that will improve highway safety and mobility in Arizona. From the first arrival of Transportation Network Companies (TNCs) with human operators to the testing of driverless TNC vehicles, collaboration and a focus on safety are driving Arizona’s vision of a safe, reliable transportation system for all. This presentation will trace the evolution of TNCs in Arizona and how government, the transportation industry and technology innovators work together to help innovation and regulation keep pace with one another. Ridesharing is likely to be the first use case for fully autonomous passenger vehicles, but thus far limited attention has been given to the regulatory questions involved in deploying this technology in Transportation as a Service applications. A handful of jurisdictions have begun to explore enabling use of autonomous vehicles under for-hire transportation rules. This presentation will compare several of the initial paths taken by these regulations and offer preliminary thoughts on the steps jurisdictions might take in the future to support for-hire deployment of autonomous vehicles. Transportation Network Companies (TNCs) will likely be the first commercial implementers of driverless vehicles. For the first time in over 50 years, the private sector is again emerging as an important mobility service provider in parallel to public transit agencies. How can state DOTs, cities and private providers work together to build an effective, integrated system available to all? This presentation begins with the essentials about data privacy laws and measures to avoid liability. It then identifies a cutting-edge issue: “Bio-privacy”. Designing for various levels of autonomy and user experiences has led to an explosion of biometric data collection, raising wholly new issues about protecting biometric data privacy. As states heighten protections and federal agencies examine the adequacy of privacy protections, an emphasis on designing-in protections specific to bio-privacy is becoming critical. This engineer-turned-lawyer will explain what engineers and designers ought to prevent proscribed disclosure of this and other information that could subject manufacturers to liability. Modern vehicles are collecting and sharing increasing amounts of data so that they can operate more autonomously, operate with greater safety, and offer innovative new products and services. The enhanced connectivity raises novel privacy and cybersecurity issues for vehicle owners and passengers, and increases the number of potential security threats and vulnerabilities. This session discusses the state of existing regulations, guidance from the FTC and NHTSA, and industry voluntary guidelines that set the framework for addressing these important issues, as well as how pending federal legislation would affect the current legal mandates. The pace of automated vehicle innovation has not slowed – can the policymakers keep up? By the time of the AV Safety Regulation World Congress in October, the industry and all stakeholders will have a sense of the fate of the bills before Congress on automated vehicle regulation. If one has passed by then, this presentation will discuss how the bill got over the finish line in this Congress and analyze its impact on the industry’s testing and deployment of automated vehicles. If no bill has passed, this presentation will discuss: (a) why the SELF DRIVE Act and the AV START Act stalled; (b) the likelihood of future legislation; (c) the potential for other legislative and regulatory avenues for the industry to achieve a policy framework that encourages innovation in life-saving AV technology while keeping safety first in mind. The presentation will offer an overview of current regulatory, research and pre-regulatory activities at the National Highway Traffic Safety Administration and other standard-setting/industry bodies. This session will focus on the law enforcement considerations in the Guidelines for the Safe Testing and Deployment of Highly Automated Vehicles by the American Association of Motor Vehicle Administrators (AAMVA) through its Autonomous Vehicles Working Group. This session will include a discussion on the national law enforcement efforts to support the safe testing and deployment of automated vehicles, as well as some concerns that law enforcement and first responders may face. A panel of state law enforcement officials who are influencing the world of Autonomous Vehicle regulation and enforcement in the United States will discuss the approach each of their states is taking on the testing and deployment of automated vehicles and their thoughts on the guidelines. Hear how they are working with government officials and other stakeholders in their state to prepare for the impact of automation in vehicles from a law enforcement perspective. 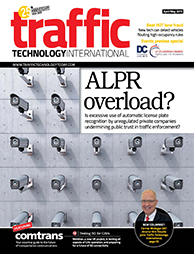 Connected and autonomous vehicles are set to create groundbreaking improvements in safety, operations and maintenance of state transportation systems. To ensure readiness for a connected world, states must actively prepare their systems for technology deployment and longevity, partnerships with car manufacturers and private industries, and evolving state and federal policies. All while sharing the transformational benefits with the public and stakeholders. This presentation highlights the Utah Department of Transportation’s (UDOT) efforts to actively prepare for a world of connected and autonomous vehicles through fiber deployment, installation of DSRC corridors and applications, advanced signal system management and promotion of legislative change. Singapore is developing a technical reference to be published by end 2018 by Enterprise Singapore, the national standards body. This technical reference will be used to support governance of on-road testing of Level 4 and 5 autonomous vehicles and, once matured, will evolve into a Singapore Standard that will support governance of pilot projects involving the public. The technical reference has four sections: basic behavioral requirements, system safety, cybersecurity and data management. This presentation will give an overview of the technical reference and the process and considerations that governed the development of this technical reference. Autonomous vehicles are emerging with on-board sensors and systems to ensure safety. While DOTs continue to test connected V2X technologies, OEMs are divided on how to approach Dedicated Short Range Communications and 5G cellular to communicate between vehicles and infrastructure. Will the fields of autonomous vehicles and connected infrastructure be integrated to improve system safety and efficiency? Legislation for the introduction of automated vehicles has been passed in the United States House of Representatives and is pending in the Senate. There are important differences between the two that could limit the deployment of automated vehicles and, depending on which bill is adopted, impose stringent requirements beyond the voluntary guidelines in DOT’s 'Automated Driving Systems 2.0: A Vision for Safety'. Moreover, states are enacting their own legislation imposing varying limitations on the introduction of automated vehicles for testing as well as sale to consumers. Learn about these key pieces of legislation and the efforts underway in the states to eliminate outdated legal obstacles to selling automated vehicles to the public. Can an autonomous vehicle talk its way out of a traffic ticket? This session will focus on the relationship between autonomous vehicles and law enforcement, and how law enforcement will interact with these vehicles. When and how will police pull over an autonomous vehicle? Will autonomous vehicles be treated the same as individuals under the traffic laws and regulations? Under what circumstances will law enforcement be permitted to get information collected by an autonomous vehicle, and how might police go about getting it under US law and laws in Europe? How will the Fourth Amendment, the third-party doctrine, the CLOUD Act and the just-announced European approach play out in these situations? State laws affecting automated vehicles encompass far more than traffic codes and this panel identifies what they are and how inconsistent or outdated provisions in them can constrain the development and sale of automated vehicles. The panellists will suggest ways to harmonize the laws so that they make sense for automated vehicles, including each Level of automation. Find out when a law maybe ought to apply to Level 3 but not Level 5. When can you send that text? Following high-profile fatalities stemming from vehicles in self-driving mode, questions of fault cast doubt around financial responsibility for auto insurers. In addition, as connected cars provide more and more data, money-saving and customer-pleasing innovations are redefining the landscape of insurance claims. In this intriguing session, hear from two industry subject matter experts on the prevailing trends and legal frameworks, the potential for an increase in subrogation and litigation, and how insurers can leverage innovations while protecting themselves as technology continues to evolve. In this program, Tom Alleman discusses how the events – and the accidents – of 2018 pose challenges for liability and insurance in the AV/CV ecosystem and some of the ways these issues may be addressed.